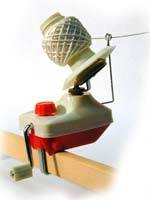 Hand operated yarn winders for making perfect center pull balls. The small size winds up to 4 oz. without requiring any cones or tubes. 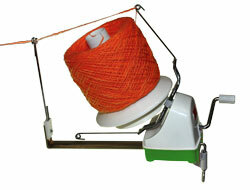 The jumbo is a large capacity yarn winder that will wind a 10+ ounce ball of yarn. Comes with integral 1.5" table clamp. Good choices to use with our yarn swifts.